From a cranky live kangaroo to a $30,000 invention we grew to loathe, here's our picks for the most memorable moments and misfires at the CES 2012 gadget extravaganza. The iHip headphones booth brought in Snooki from "Jersey Shore," but Dish Network featured even more of an animal: a real, live baby kangaroo. Dish's press conference revolved around its new Hopper HD-DVR, which pairs with smaller Joey set-top boxes (get it?) for use on other TVs throughout the house. 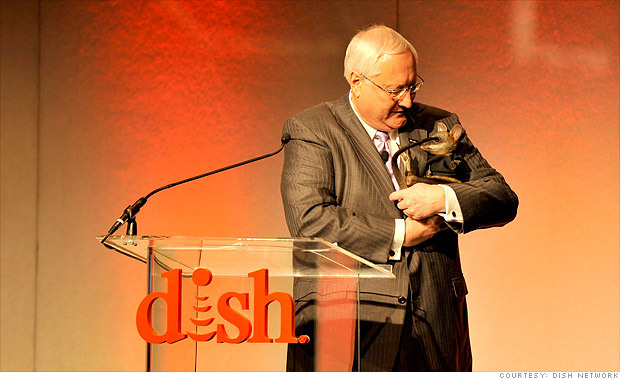 Dish hawked the new product line as "basically relaunching the company" -- and to celebrate, it brought out an actual joey. From ultrabooks to an obnoxious iPod dock, the 2012 Consumer Electronics Show ran the gamut from "great" to "really?"